Choose the lowest estimate and best services that fit your needs - zero obligation! If you find yourself staring at an annoying windshield scratch in your line of vision while driving on the road, we understand why you are keen to get this auto glass damage repaired fast. Whether you need windshield scratch repair on your front or back windshield (also referred to as your rear window), at Glass.net, we are here to help. In order to get the best pricing on scratched windshield repair, you need to compare estimates from various automobile glass experts near you. In order to do this as quickly and easily as possible, you need to use an auto glass quote comparison tool such as ours at Glass.net (also provided above). 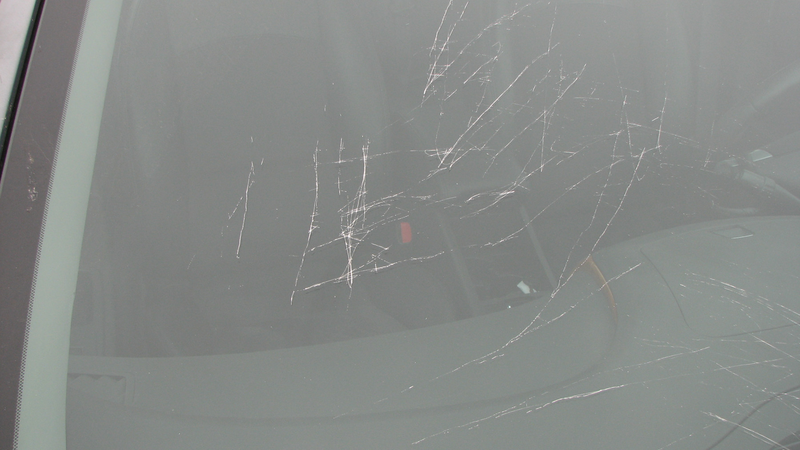 We will give you live, accurate pricing for repairing the scratches on your windshield. These estimated costs will come from multiple service shops in your locale that have consistently received positive ratings from actual customers they’ve served. The next step of finding windshield scratch repair quotes quickly is to choose your car, SUV or truck’s make and year it was manufactured. This step is fairly self-explanatory. Just choose the picture that shows the windshield you need repaired. There are two options - front and back. This step requires you to know what your vehicle’s model is. You can find this out from your dealer, car owner’s manual or possibly any paperwork you have kept on your vehicle from maintenance visits or financing. This is the part where you receive the estimates for windshield scratch repair on your vehicle. These estimates include details about the auto glass shops, what’s included in the quote and what specific services they can provide you with. With Glass.net, you can discover best windshield repair shops near me experts that are available to fix a scratched windshield within 24 hours. Not only do we help you find auto glass services that are speedy and efficient, we also streamline the search process. The prices we provide to you via Glass.net’s cost comparison tool are in real-time. This means they’re not quotes from years ago, they’re actually highly relevant to today’s prices. Not only do we give you accurate information by way of real data, we also are making this data hyper-relevant to your local area. This is important because the cost of repairing a windshield scratch can vary depending on location and your vehicle type. The garages that we partner with only use Original Equipment Manufacturer glass. This means that the class is highly compatible with your specific vehicle. What are you waiting for? Get your free quotes within 30 seconds now to repair your windshield scratches in no time.